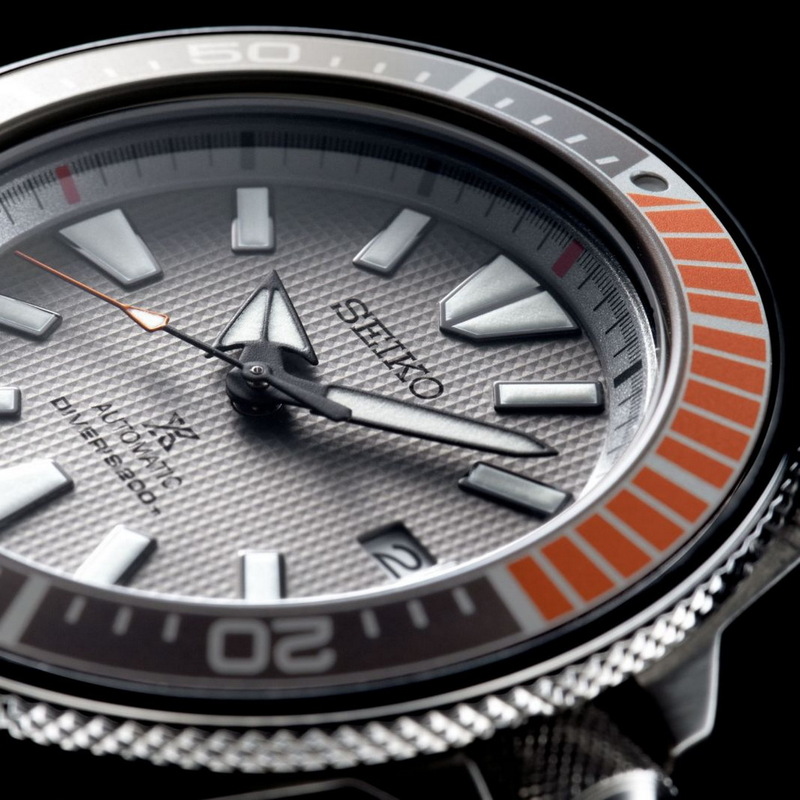 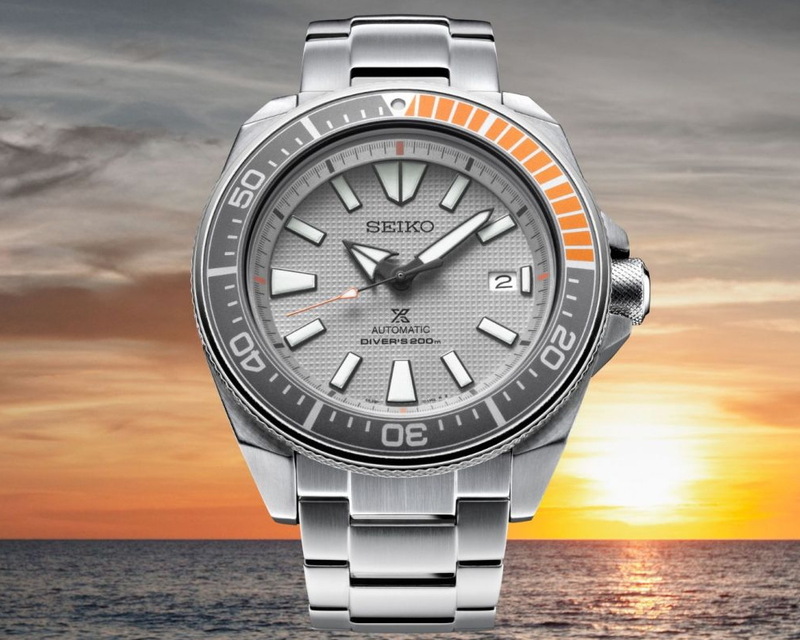 This is the new Limited Edition SEIKO Prospex Dawn Grey ref. SRPD03K1 (shouldn’t that be Grey Dawn), a new Samurai model inspired by the color of dawn over the sea. 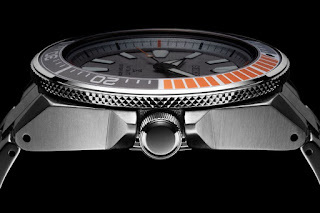 The Prospex Dawn Grey is an exclusively European release featuring two Prospex diver’s models, this and a Turtle ref. 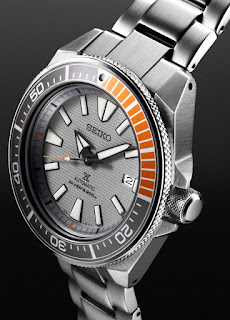 SRPD01K1. 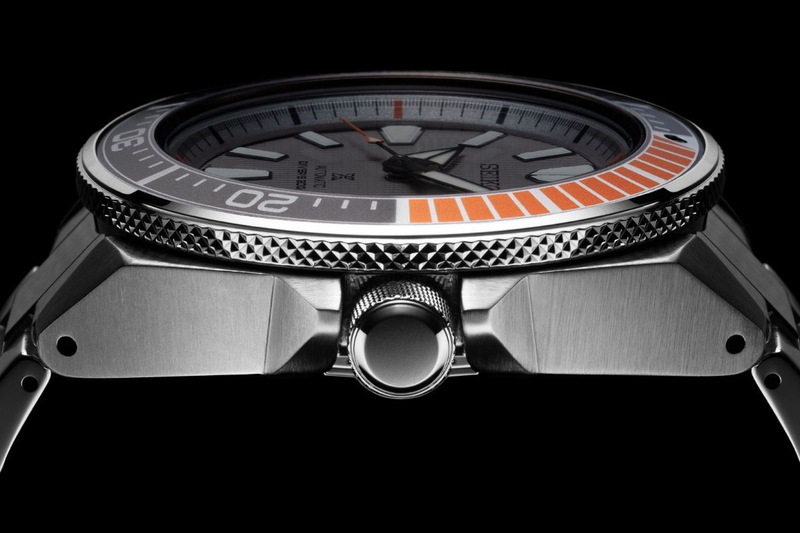 Its 43.8mm in diameter case is made from Stainless steel and is fitted with a rotational diver’s bezel with an orange 15-min scale, and a Hardlex mineral crystal. Powering the Samurai Dawn Grey is an in-house, Seiko Japan automatic 4R35 caliber with 23 jewels, a beat-rate of 21,600 vph and a power reserve of 41 hours. 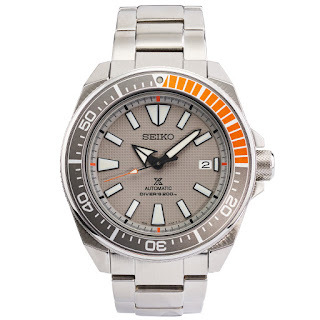 Its dial is with Seiko LumiBrite filled hands and markers. 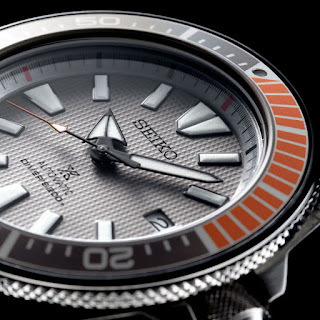 Special features of the Samurai Dawn Grey include; a grey waffle-style dial and a special bi-color Dawn Grey diver’s bezel. 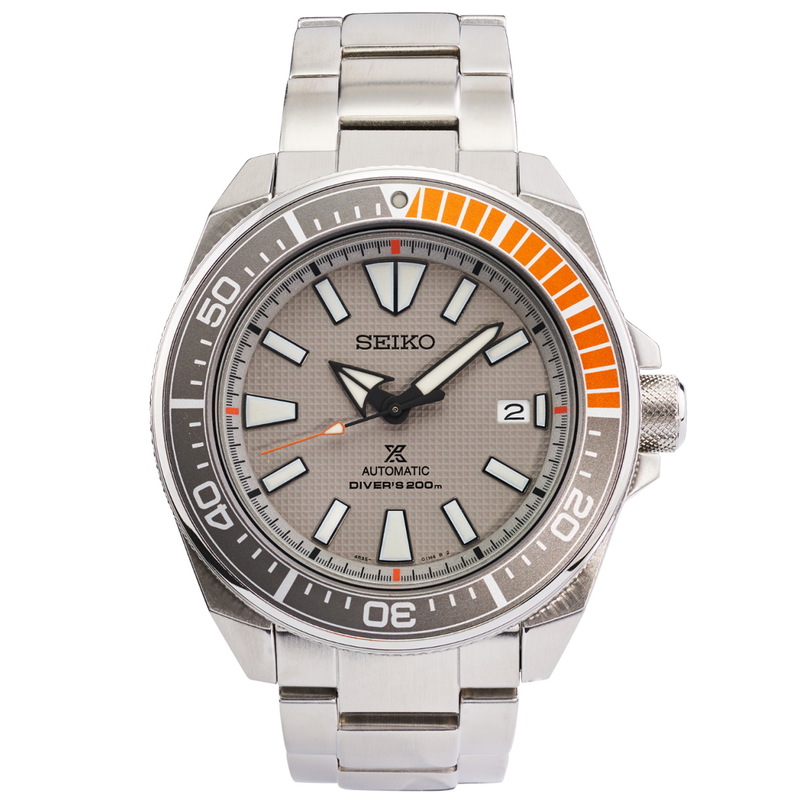 The Prospex Dawn Grey Samurai SRPD03K1 has a MSRP of 410GBP.